From as young as seven I remember telling my sisters, I couldn't play with them in their room unless they cleaned up. I totally can't function, concentrate or feel inspired in a space that is in disarray. Even now my desk isn't as neat as I would want it but this is mostly because I have extremely limited space. 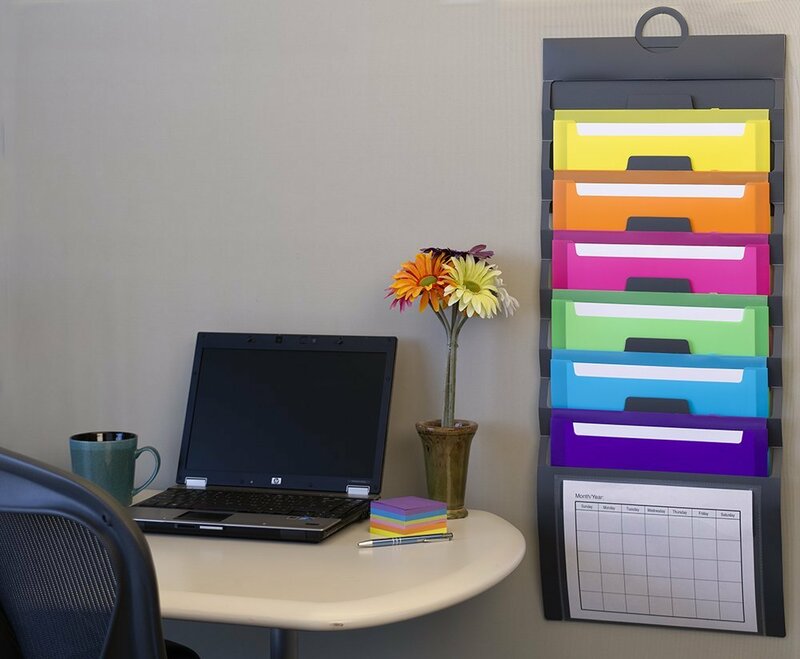 Whether your desk is at college, in your office, or somewhere at home staying organized can help you not only stay on task but be able to find what you need when you need it. 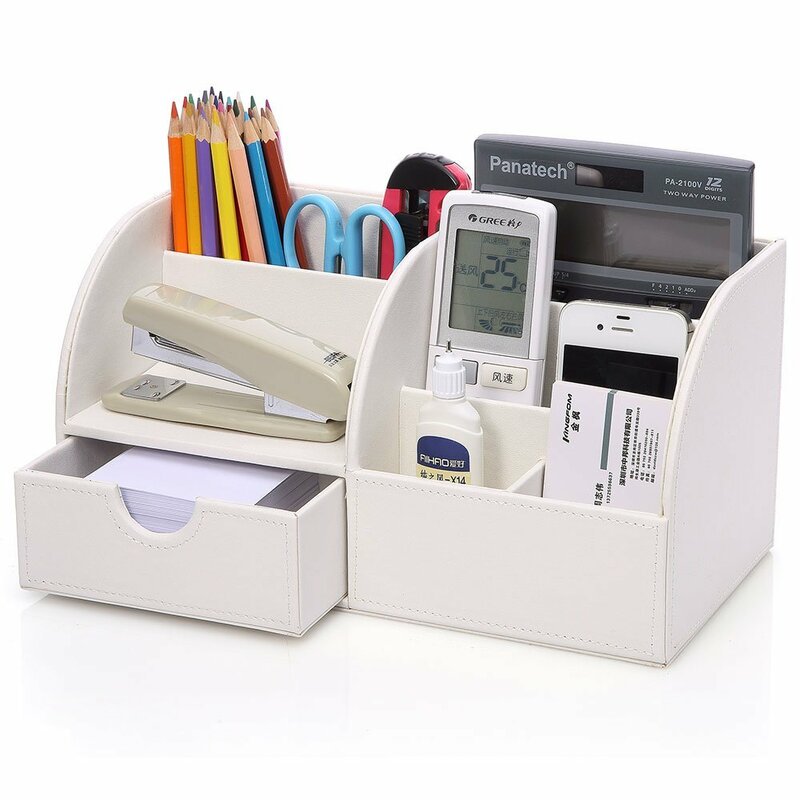 Multifunctional PU Leather Office Desk Organizer,Desktop Stationery Storage Box Collection, Business Card/Pen/Pencil/Mobile Phone /Remote Control Holder Desk Supplies Organizer. 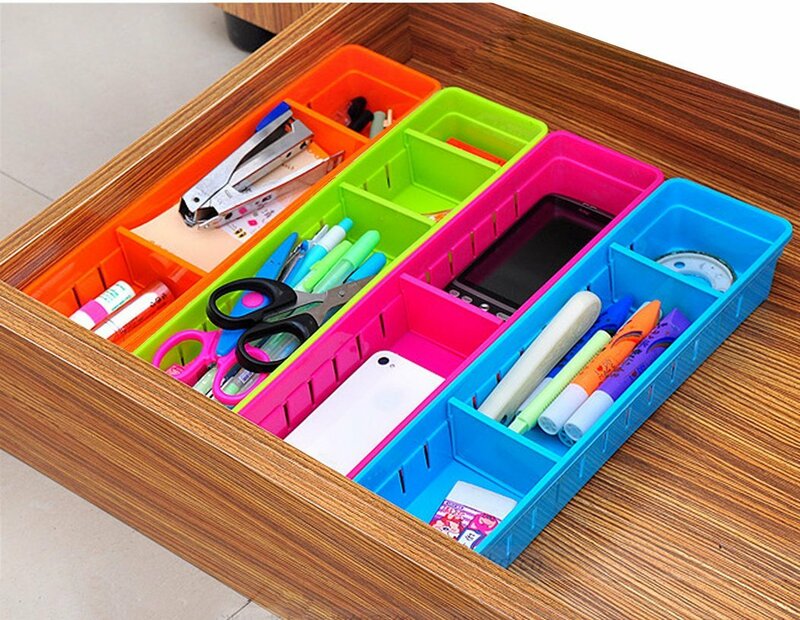 This seven compartment organizer even has a drawer and comes in 10 colors including pink, purple and blue. If you need to keep all this stuff on your desk. Keep it contained. There are 6 sections which means I can label and organizer things based on my life categories. I LOVE that it is colorful. If I need to have paperwork attached to my wall, it should be at least decorative. I find that I constantly need to get Post It's and paperclips. 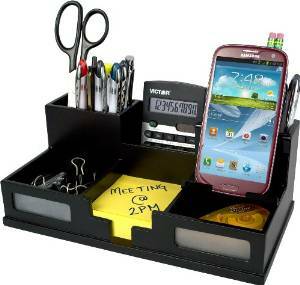 This organizer is perfect because there is a place to keep your phone too! 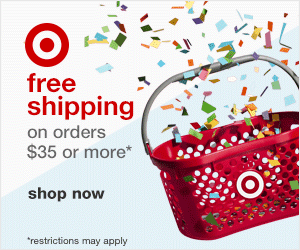 This comes in 4 different colors and even has some frosted glass decorative pieces. Love it! So pretty! A spot for all those things you need to use all the time. 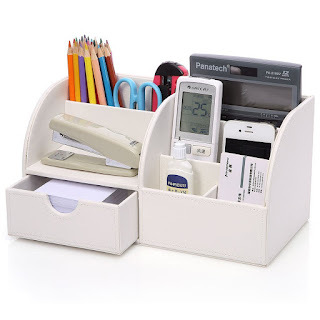 Organization shouldn't stop at your desk top, organized that drawer too! Before I got some drawer organizers nothing was in it's place. I started out well but by the 3rd week, I couldn't find my pens, scissor, or binder clips anymore. Things just weren't in order. Since most of us are always running because we have these tiny work windows in between all the other life stuff we tend to toss things into that desk drawer and can never find them when we need them. Lastly, while organizing your desk top, how about the bottom where all those plugs are around your feet or hanging behind your desk. 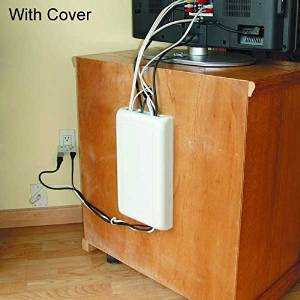 The Cord Organizer comes in white and black. 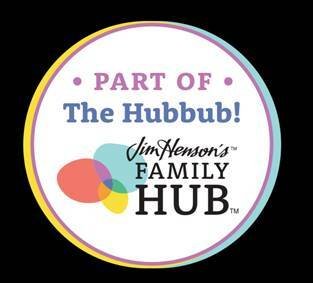 Mounts easily with double sided tape which is included. 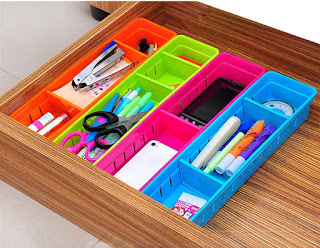 They all look great, but my favorite is the drawer organizers. They are pretty and that's what I need the most.